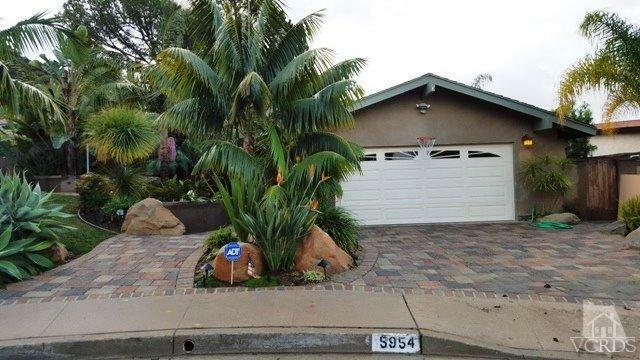 Beautiful Hidden Valley home in a great cul-de-sac location! Professionally installed lush landscape with stamped driveway, outdoor lighting and sprinkler system make for a warm and welcoming entry to this executive home. Great Mountain views from back and front yards. The large custom Kitchen has been redone to a high standard, bright and open with plenty of pantry and storage space in the custom cabinets. All three bathrooms have been beautifully redone. Large Master bedroom (photos to follow)with Walk-in tiled shower and walk-in closet with built ins. Patio slider from master leads out to beautifully landscaped yard grass area to be completed prior to close. Back yard has a Spa, fire-pit area and walk-in tool shed that could be a great children's playhouse too. In-door Laundry room off Kitchen leading into a two-car Garage with built-ins. Home has been well taken care with double pane windows, recessed lighting, a/c and newer heating unit.